The best tool holding solution? It’s ‘horses for courses’ claim Gewefa. It’s one of the hardy perennials of the metal cutting industry – which toolholding format is best suited to the application, workpiece material and the cutting environment? What few will dispute is the importance of the connection between the machine and cutter. Rigidity, security, repeatability – all have an impact on the surface finish, cutter and insert life, sustained precision and metal cutting productivity. And increasingly the ‘one stop’ toolholder format – where a proprietary single system is adopted across a machine shop - offers attractions to the engineer. The back end – that is the taper connection with the machine spindle – is usually a straightforward choice of HSK – the most popular – BT or DIN. 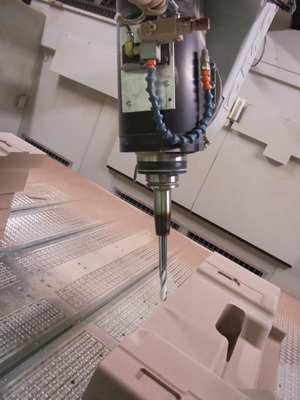 But the front end – the connection with the cutter – can be less defined with the user faced with multiple choices that can directly affect the ultimate cutting performance. There are those who advocate that a technique such as heat shrink clamping or the universal use of hydraulic chucks is the way forward in terms of simplicity (by adopting a single system) or the fact that one format applied across all applications is more productive. But there are many who would argue that a ‘horses for courses’ approach produces a range of productivity and technical advantages that outweigh the use of one system. One who advocates this broader approach is Keith Warner, our managing director here at Gewefa and who has many years industry experience. “Advocates of proprietary toolholding systems tend to also favour a single clamping technique and this is where – as a supplier and manufacturer of a range of systems – we beg to differ with them." “Being locked into a specific cutter holding system can be restrictive in terms of cost and the capability of a system as well as compromising the cutting process. A single system of course has some benefits but those who opt for the bespoke solution very often achieve better results,” he claims. “Anyone with wider experience of metal cutting will tell you that the different characteristics of a cutter connection can impact considerable on the cutting performance and, if a manufacturer is limited by the choice of a proprietary system, a compromise will result." The Collet Chuck. Perhaps the most versatile option as different size collets can be used in one holder allowing for varying size tools being held. Also available in a variety of shank sizes. Single Angle (ER) are best for drilling and lighter, higher speed milling applications with excellent concentricity and balance. Can be safely used up to 30,000 rpm. For heavy drilling and some milling applications use an OZ (DIN 6388) series holder which offers good concentricity and grip force. 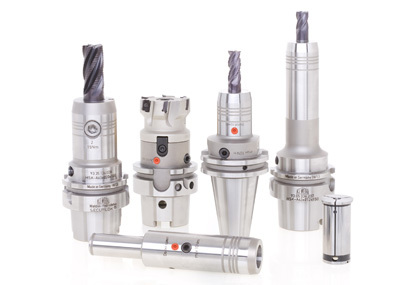 End Mill Holders are for general purpose machining applications and are available with Weldon and Whistle Notch options for using tools with Weldon or angled flats. Hydraulic Toolholders are the easiest holders for most operators to use and should be applied in close tolerance operations or where achieving optimum tool life is important. A key feature is the ease of pre-setting cutters while they also minimize tool chatter with vibration damping and feature excellent grip characteristics. Milling Chucks are best to undertake precision milling operations. Some older systems require a threaded shank cutter while many newer chucks require special cutter shanks in order to be securely retained. 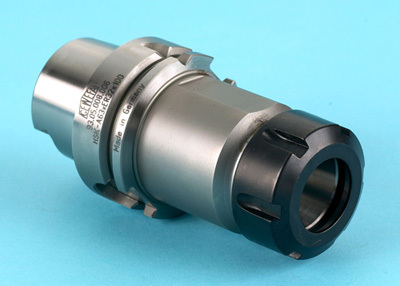 By contrast, Gewefa Securelok milling chucks accept standard DIN1835 cutters with a Weldon or Whistle Notch connection. Heat Shrink Clamping Toolholders can be used in higher speed and higher feed milling applications. Featuring excellent grip, concentricity, balance and thin nose diameters with no moving features, shrink clamp toolholders can be used at extremely high operating speeds with little impact from centrifugal forces. Copyright © 2014 GEWEFA UK Ltd. All rights reserved.